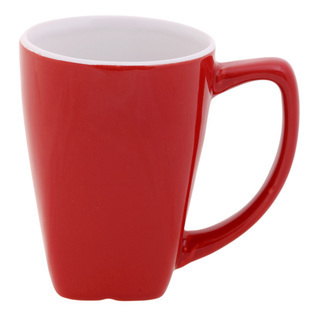 Stylish square ceramic mug with comfort-fit handle. 300ml capacity. Boxed. Black, blue, orange, red or white.